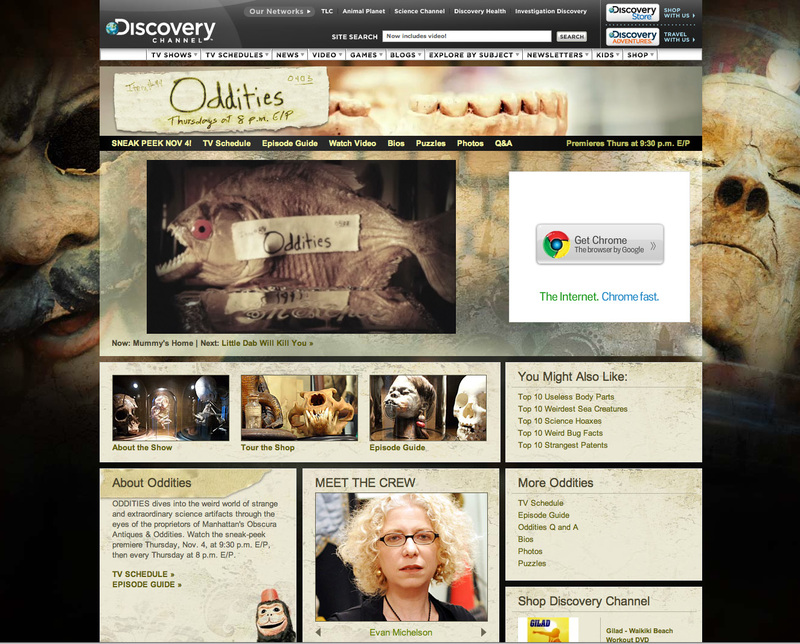 Oddities--the previously discussed reality show [sic] based on my favorite store in the world, Obscura Antiques and Oddities--premiered last night on The Discovery Channel. I am very happy to report that I actually quite liked the show, which came to me as some surprise as I am, in general, no fan reality television. Oddites is actually a television show I would--and will!--watch, and I am so proud of all my friends whose knowledgeable, thoughtful, and non-histrionic participation is elevating it well above the usual reality television fare! You can view my favorite clip from last night's episode--which stars a very charismatic playwright and Obscura regular named Edgar and his encounter with a straitjacket--by clicking here. Note: you will have to sit through an obligatory commercial to get to the good stuff, but it is definitely worth it. Oddities will be airing Thursday nights at 8:00 PM on the Discovery Channel; I highly highly highly recommend you find a way to check it out (I surely will be...). 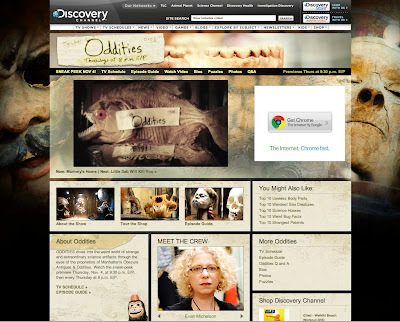 You can find out more--and view many more clips!--on the Oddities home page (pictured above) by clicking here. That looks like a great show! I just watched all the videos. We don't have Discovery Channel here, but I hope to be able to see some episodes online; I'll definitely watch when I go to the States in a few months.